The tiny Buddhist Kingdom of Bhutan awaits. The dramatic landscape, from snow capped peaks and deeply forested slopes to raging boulderstrewn rivers, sits largely undisturbed due to various environmental initiatives and religious beliefs. The nine-day journey takes you into this jewel of nature for an adventure into a land of charming farmers, fascinating weavers, enchanting monks and charismatic leaders. 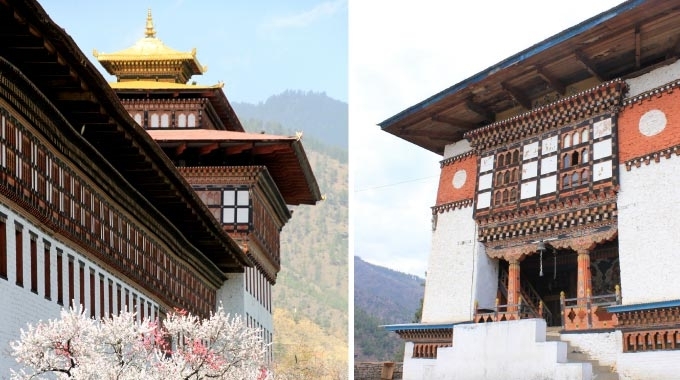 This morning you will head to the north end of the valley to view Trashi Chhoe Dzong, the seat of Bhutan’s government and royal office, and pay a visit to Pangri Zampa, two 16th century buildings that now house a monastic training school for astrologers. At the head of the valley, should you wish to stretch your legs, a short hike will take you to Cheri Goemba, the monastery where the first monastic body was established in the Kingdom. Back in town you may visit a few of the capital’s cottage industries ranging from traditional paper making to hand rolled incense. (overnight: Amankora Thimphu). 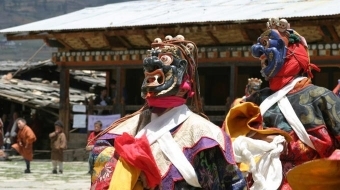 Today see an early departure for a dramatic drive over the high mountain pass of Dochu La and on to the Phobjika Valley. 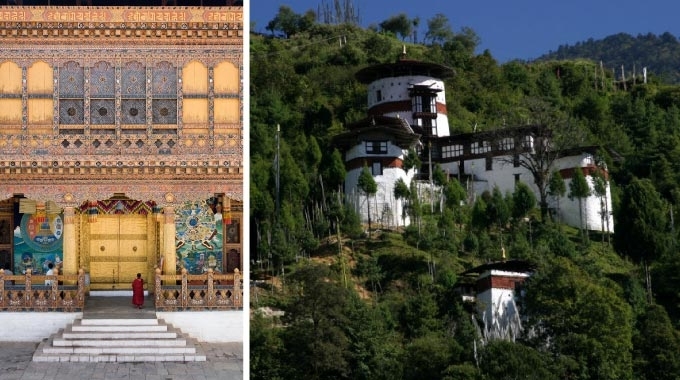 Sights on the way include one of Bhutan’s first fortress monasteries, the 17th century Simtokha Dzong, and ancient wall paintings at the Hongtsho Goemba monastery. The journey continues over the 3,050m mountain pass where on a clear day, towering Himalayan peaks are easily visible. The descent through the Punakha Valley along the Kingdom’s only east-west highway continues through the scenic village of Wangdi. The highway follows the scenic Dang Chhu before climbing through forests of bamboo and oak, and just before crossing the Pele La pass, a small side road splinters off to the hidden Phobjika Valley. On arrival you will have time to visit the striking Gangtey Goemba, sitting at the head of the valley, and perhaps stroll through the quaint Gangtey village. (overnight: Amankora in Gangtey). Today’s journey back to Punakha will be swift. Upon arrival, enjoy a leisurely lunch at the lodge. 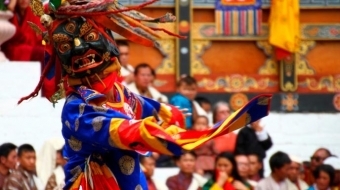 In the afternoon, explore the hidden village of Talo, home of the Queen’s and the valley’s protective deity lhakhang. Later in the afternoon, enjoy a possibility of a hike to an ancient monastery on the hilltop behind the lodge or take time to relax in the lodge’s farmhouse and spa. (overnight: Amankora in Punakha). Day six begins with a hike from the Punakha Lodge along the Mo Chhu through terraces of rice, chillies and cabbage, to the Khamsum Yuelley Namgyal Chorten, a monument recently built by the Queens of Bhutan. Following the hike you will drive back up the valley towards Khuruthang, passing Punthsho Pelri Palace and several other winter homes of the royal family before reaching the impressive Punakha Dzong. This ancient fortress is the winter residence of the monastic order’s leadership and still serves as the administrative headquarters for the Punakha region. A picnic lunch is served on the banks of the Punak Chu, prior to visiting the village of Lobesa. From there enjoy a short walk to Chimi Lhakhang, the uspicious fertility monastery built in 1499. (overnight: Amankora in Punakha). After descending from Dochu La, you will follow your way back up the dramatic Wang Chu and Paro Chu river valleys before crossing through Paro Town towards the north end of the valley. 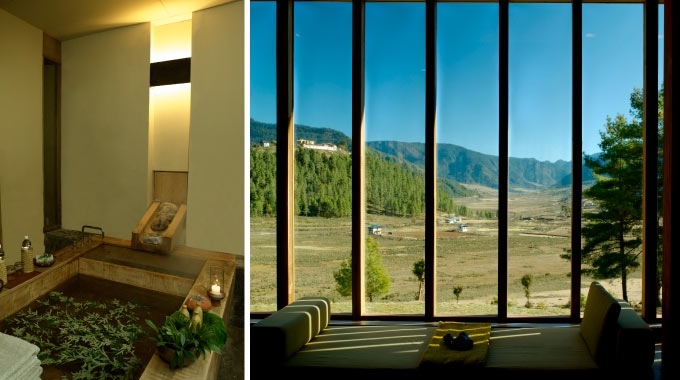 Here, set in a pine forest, you will find the Amankora lodge and spa. In the afternoon, there is an opportunity for a quick stroll to the nearby ruins, a visit to some of the valley’s oldest and holiest religious monuments or a ramble down Paro’s main street. Evenings at Amankora may include informative lectures on the history, religion, flora and fauna of the region or an intriguing film on the Himalayas. (overnight: Amankora in Paro). The day starts with a visit to the National Museum, housed in the Ta Dzong (watchtower). Here, an engaging collection of artefacts provide a wonderful introduction to the rich culture and heritage of the Kingdom. Just a short walk downhill lies the dominating Paro Dzong, a fine example of Bhutanese historic architecture. From the Dzong, the tour crosses Nyamai Zampa, a traditional cantilevered bridge, and town temple built in 1525, to view ancient wall paintings. Paro activities involve a picturesque picnic, or a visit to a traditional farmhouse for lunch with a local family. The afternoon will begin with a hike to view one of Bhutan’s most revered monuments, the Taktshang Goemba, more commonly referred to as the “Tiger’s Nest”. The four to five hour return trek offers spectacular views of this sacred monastery perched on a cliff face 900m above the valley floor. (overnight: Amankora in Paro). 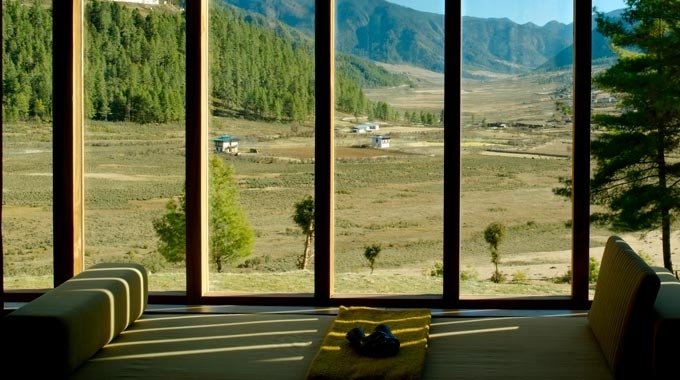 -Rates listed include accommodation for the length of stay, all meals and house beverages, airport transfers to and from Paro Airport, visa processing assistance and inclusions as stated above. - All rates are in US dollars and are subject to 20% government tax and service charge, FIT surcharge of US$40 (Single) / US$60 (Double) per day, government royalties of US$65 per person per day (not applicable to Indian nationals) and Sustainable Tourism Fund of US$10 per person. - A visa application fee of US$40 per person will be charged at time of booking. - Rates and government tax are subject to change without notice.